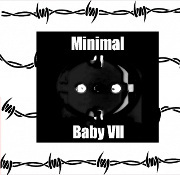 A new great compilation with special and different mix of minimal electronic and more newcomers from Germany, Italy, Spain, Finland, and Slovaki. 20 bands and 79 minutes on CD with 4-page info booklet, exclusive material only for this compilation, hand numbered and limited to 500 copies. Listen here and order here. 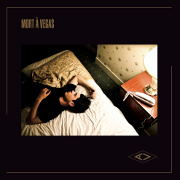 This 12’’ EP contains a dreamlike remix of « Mort à Vegas » by DEATH IN VEGAS (as the track was probably written with him in mind!) but also a cover of French singer Dominique A, known in France for being the one who launched the « new French scene » that drove the renewal of the French Pop. AV has still this elegant crooner voice that slowly caresses you before driving you on the dancefloor, so let his deep voice and those melodic synths & guitars seduce you. 500 copies – black vinyl – black inner-sleeve – download coupon. Desire is proud to present an unique record : a limited split between two of the hottest bands in LA, Bestial Mouths and Deathday in collaboration with Sweating Tapes. Pooling together a group of influences as diverse as its members, Bestial Mouths present a raw, synth-driven energy propelled by singer Lynette Cerezo’s powerful vocals. Often likened to Diamanda Galas, Siouxsie Sioux or Lydia Lunch, Cerezo delivers each note with fury and abandon. Synthesists/keyboardists Christopher Myrick and Gustavo Aldana channel early industrial, EBM, goth and minimal synth pop in turns, blending harsh electronics and lush melodies. When fused to Aldana’s splintered programmed beats and the tribal rhythms and samples of drummer Jessica Reuter, the harmonics combine to breathe new life into post punk, weaving their own distinct creation in the process. Bestial Mouths has released an album on Dais Records. Constructed from the aggressive textures of early industrial music, the ambiance of coldwave, and the carnal energy of post-punk; Deathday blends dark and often esoteric images with sparse, primal analog sounds. 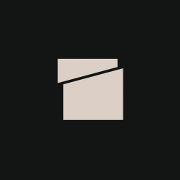 The quartet has recently contributed tracks to Downwards’ So Click Heels and Mannequin’s The End Of Civilization compilations. Deathday’s self-titled debut will be reissued on limited white vinyl later this year via desire in association with Sweating Tapes. Limited edition of 500 copies – 12’’ x 12’’ professionally printed insert – black vinyl – download card. 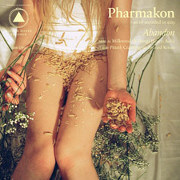 Margaret Chardiet was born and raised in New York City She has been making power electronics/death industrial music under the name Pharmakon for five years. As a founding member of the Red Light District collective in Far Rockaway, NY she has been a figurehead in the underground experimental scene since the age of seventeen. She points out that the environment there amongst so many other experimental artists (amongst them Yellow Tears & Haflings) inspired her to keep making increasingly challenging work. She describes her drive to make noise music as something akin to an exorcism where she is able to express, her “deep-seated need/drive/urge/possession to reach other people and make them FEEL something [specifically] in uncomfortable/confrontational ways.” Engineered by Sean Ragon of Cult of Youth at his self-built recording studio Heaven Street, Abandon is Pharmakon’s first proper studio album and also her first widely distributed release. Robert Maschke produced cover art that should give you a hint of what to expect from this 11 tracks double LP compilation, namely star gazing italo thick on the synthesis and notions of space travel and futurism. 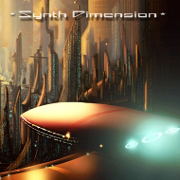 Across the 4 sides, ‘Synth Dimension’ essentially grants a quartet of highly regarded synth explorers 12″s to show their wares with Keen K, Kid Machine, Astro Chicken founder Hyboid and Infinity Night all involved. 2 LP Limited edition of 220 copies.